Danbury field hockey player Grace Keefe at practice Wednesday in Danbury. DANBURY—Denise Brough knows just how difficult the FCIAC is to navigate, with more than 10 years coaching the Danbury field hockey team. Competing against towns full of athletes that play the sport from a very young age can make it a difficult gap to close, and it’s one the Hatters are trying to solve. Pushing its way closer to year-round status and having freshmen with experience before high school, Danbury hopes its new crop of players can bridge the gap while continuing to improve with each game. The Hatters — who improved from one win two years ago to four last season — graduated the majority of their starting lineup and will be a lot younger on the field this time around. Danbury is captained by Nora Ahern (right outside), Hannah Tucci (defender), Jayme Alfonso (forward) and Grace Keefe (center midfielder). Brough has been coaching in the sport for about 30 years, the last 12 as the head coach with the Hatters. Like many of her teammates, Tucci picked up the sport upon arriving at DHS. She’s become a three-year starter and is now one of the leaders of the squad. The Hatters dropped their season opener to Ridgefield on Tuesday, and will face all the top teams in the state — including Staples, Darien and New Canaan — in the coming weeks. Keefe is one of several club players who hope to try to turn Danbury’s fortunes around. The sophomore is a college prospect and in April was on Max Field Hockey’s players to watch list for the class of 2021. Keefe began the sport in fifth grade out of curiosity as her mom, Kathy, was an experienced coach. 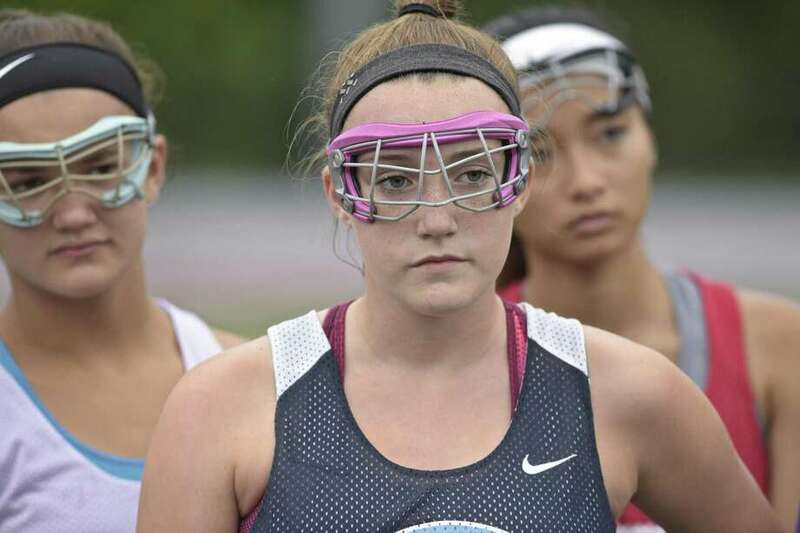 It wasn’t long before she took it seriously and caught on with HTC, a club with local teams throughout Connecticut, New York and Massachusetts. Keefe represented HTC at a national tournament over the summer, providing the midfielder — who plays defense with her club team — with an opportunity for even more exposure at the highest level. The potential to improve over the next several years applies to both Keefe and her Hatters teammates.